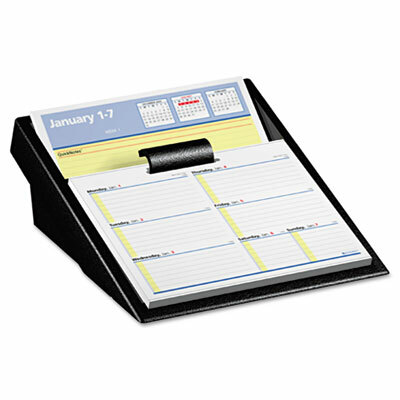 Top tier displays monthly reference calendars and QuickNotes section for extra note-taking. Bottom tier displays full week ruled for notes or appointments. Top tier displays monthly reference calendars and QuickNotes section for extra note-taking. Bottom tier displays full week ruled for notes or appointments. Expired week flips up and out of the way for storage.